Rodman & Rodman, P.C. an independent accounting and tax firm with a specialty practice in clean technology and renewable energy, has recently promoted Scott Callahan, CPA to Tax Manager. Mr. Callahan has more than a decade of experience and he previously held the position of Tax Accountant at Rodman & Rodman. In his expanded role, Mr. Callahan will advise small and large clients on a broad range of tax issues. He will also serve on Rodman & Rodman’s Green Team, and work with clients on projects promoting renewable and sustainable energy. 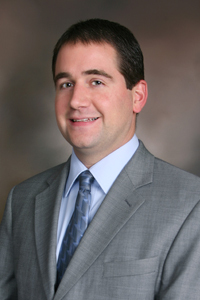 Mr. Callahan holds a Bachelor’s degree from the University of Massachusetts and is a Certified Public Accountant. He resides in Millis, MA. For the third consecutive year, Rodman & Rodman was named one of the 100 “Best Accounting Firms to Work For” in Accounting Today. About Rodman & Rodman P.C. Founded in 1961 and listed in the Boston Business Journal’s “Top 50 Firms,” Rodman & Rodman, P.C. provides accounting, tax and business services to small and medium-sized companies. The Rodman & Rodman “Green Team” is a specialized green energy and clean technology accounting and tax services practice within Rodman & Rodman, P.C. that serves “green” clients throughout the U.S. The company is Green Business Certified and has been named by “Accounting Today” as one of the “Best Accounting Firms to Work For” in 2010, 2011, and 2012. For more information, email info@rodmancpa.com, visit their website at www.rodmancpa.com or contact (617) 965-5959.